– This month in Nevada, recreational marijuana is legal to purchase at state-approved retail outlets. – This month, New Hampshire governor Chris Sununu (whose sister Liz once was my dormitory resident assistant) signed a law decriminalizing marijuana possession. – Last week, and despite Attorney General Jeff Session’s contrary request, the Senate Appropriations Committee approved a spending bill provision renewing preventing the Justice Department from interfering with the implementation of state medical marijuana laws. – House Oversight Committee Chairman Trey Gowdy (South Carolina) calls for rescheduling marijuana away from Schedule I for drugs (the most dangerous drug category) (July 26, 2017). – Congressman Thomas A. Garrett (R, Va.) has a pending bill to heavily end federal marijuana prohibition and to remove it from being classified as a Schedule I drug. It is time for Virginia to catch up with this trend of marijuana decriminalization, and legalization of medical marijuana. In Virginia, a first-time marijuana possession conviction continues to carry a penalty up to thirty days in jail, and the state has no law protecting use of medical marijuana. 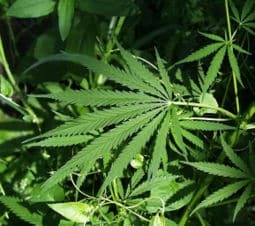 The Virginia Code § 18.2-251 / 251 first time marijuana dismissal program is a Trojan horse that puts defendants on probation, will lead to a conviction and possibly jail time if probation is deemed violated, suspends driving privileges for one month, and can be viewed as a conviction by employers. I have written more about the 251 minefield here. It is not sufficient that Virginia now has a statute allowing THC-A oil and CBD for epilepsy. Those are extracts from the cannabis plant, rather than allowing the medicinal use of the whole marijuana leaf, to benefit medicinally from all marijuana’s cannabinoids. Virginia needs to look no further than neighboring Maryland and the District of Columbia to see that the sky has not fallen in either jurisdiction for decriminalizing recreational marijuana use, and medicinal marijuana use.